I've had some requests for a digital version of my Kiyomi Bag Pattern. I understand the convenience of downloading a pattern almost instantaneously after a purchase. Apart from the quick gratification, you also save on shipping. I must admit that I prefer digital downloads over the conventional paper format myself. Hence I've added the digital Kiyomi Bag Pattern to my little shop. Also as a thank you for those who have enquired the digital version is on sale from 1st May to 8th May 2016. Normal price RM22, it's now RM18. Download your copy today!! Please head on to my Facebook page if you'd like to enter your name for my little giveaway. I will draw the winner on Easter Monday 28th March 2016. Hope you'll join in the fun! Good luck! I've long admired these Japanese bags. However I've wanted to put my own spin on the design. My goal was to have a versatile bag that can be casual or heavily embellished. Also I wanted a large base for our purses and mobile devices. And of course knitters and crocheters to carry their small projects. 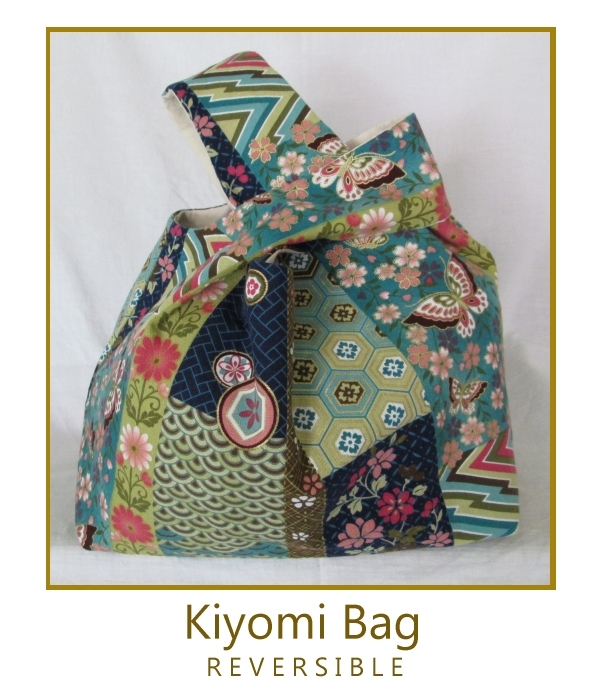 The Kiyomi bag is fully lined and reversible. A perfect sewing project for confident beginners that can be completed in a few delightful hours. It contains full sized templates and 12 pages of detailed instructions with clear step by step B&W photos. The Kiyomi bag pattern is now 15% off through 31st March 2016. For Malaysian residents you can purchase the pattern from my Facebook via desktops. And for non-Malaysian residents Etsy. Knit striped shirts are really in a class of it's own. It's such a classic. It has stood the test of time and have become quite iconic when it comes to casual wear. 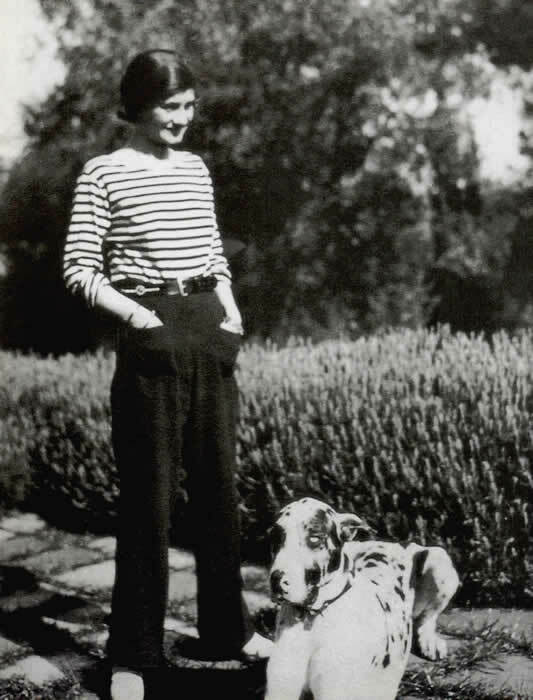 The cross over of the striped shirt aka Breton from utilitarian wear to fashion, from men to women's wear is attributed to Coco Chanel. 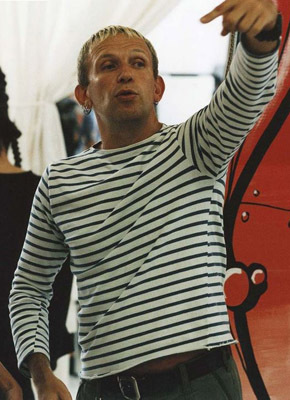 However, in recent modern times Jean Paul Gaultier has been associated with popularising this nautical casual white and blue striped shirt. The Breton shirt is so ingrained in French society that it was one of the official garment for the French Navy. There were specific attentions to details. A Breton is 3/4 sleeve length and has 21 stripes to denote as many victories of Napoleon Bonaparte. So much history. Read more in WikiFashion. And here's my humble interpretation. Not to specifications of course. Maybe one day I will endeavour to research even more and come up with a Breton that's historically correct. This is my OCD playing up! LOL!! I took insurance by pinning every stripe so as to match up the side seams. Seems like I'm having a pink phase at the moment. I attribute this obsession temporary phenomenon to working on my Tilda House Tapestry blocks and those cutesy children's wear that I'm planning. Not to worry ... boys will get that fair share in blues. What can I say? ... I'm old fashioned. Or maybe it's a stripe thing. I don't know why but once in a while I like to kill myself matching striped side seams. Therein lies the challenge. Believe it or not, the pattern for this top is my all time favourite Scout Woven Tee. A pattern that's meant for woven fabrics. As I browse through the blogs I find there's been many successful versions of the Scout Tee sewn up in knit fabrics. Needless to say I had to attempt it myself. And I absolutely love it! Ironically I did not need go down a size as the norm suggests when sewing with knit fabric using patterns meant for wovens. That's a real bonus because I didn't need to trace up a smaller sized pattern. 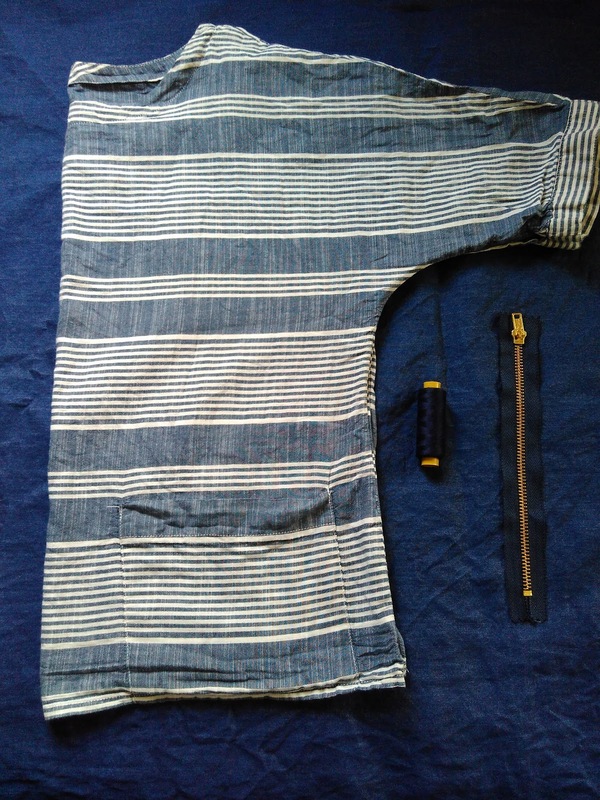 I always cut and sew on separate days especially when cutting striped fabric and hoping to match them was rather tedious. And here are some pink fabrics that I'll be working on for those Tilda blocks. They sure look so pretty together. So what's next on my sewing table? Blues and whites ... do I hear a collective sigh of relief?! LOL!! 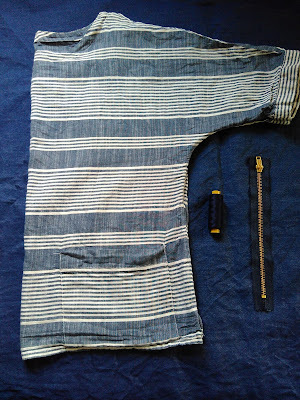 I've got a Plaintain cut in a Breton like stripe and more thin striped knit in the horizon. I don't know about you, but I practically live in shorts at home. It's so hot lately and shorts are so practical. I've converted the Moji Pants by Seamwork to a shorts and swapped for an in-seam pocket instead of a patch pocket. This was a quick and easy make. It's a happy moment when you find leftover fabrics that play together so well. 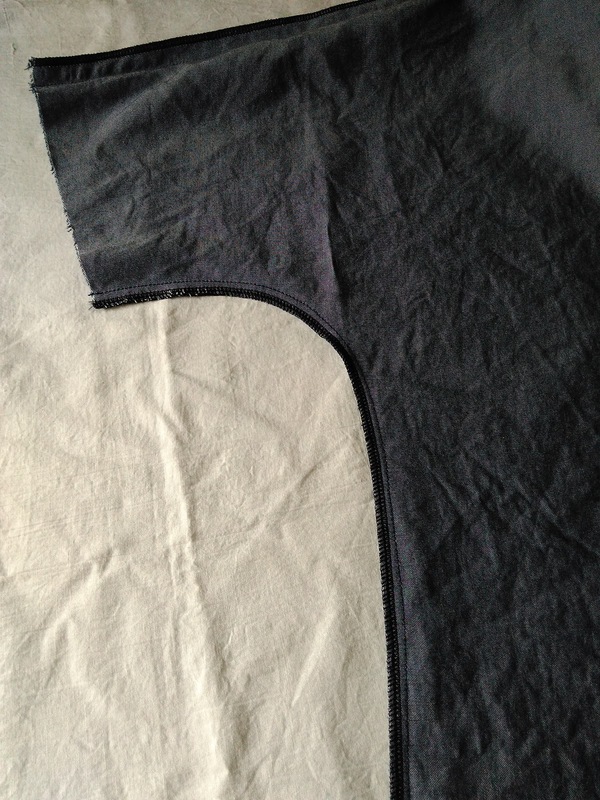 Following is a step by step tutorial on how I do my in-seam pockets. Of course there might be other better ways but this is how I do it. Turn the pocket to the side seam, right sides together and pin. Ensure that the pocket is placed at the same distance from the waist for all 4 pockets. Sew the pocket to the side seam using a 3/8" seam allowance, back stitch both the beginning and end. Press the pocket piece back out. Repeat all the steps above for all 4 sides of the shorts. Now place the pocket attached shorts pieces right side together ensuring the pockets and waist line matches. Sew the side seam from the waist to the top of the pocket opening a 5/8" seam allowance, back-stitch at both ends. Mark a point with chalk 5.5" - 6", below this backstitched point. This will be the pocket opening and will not be stitched. Then stitch again from the top of pocket bag, around the curve of the pocket bag and back onto the side seams. 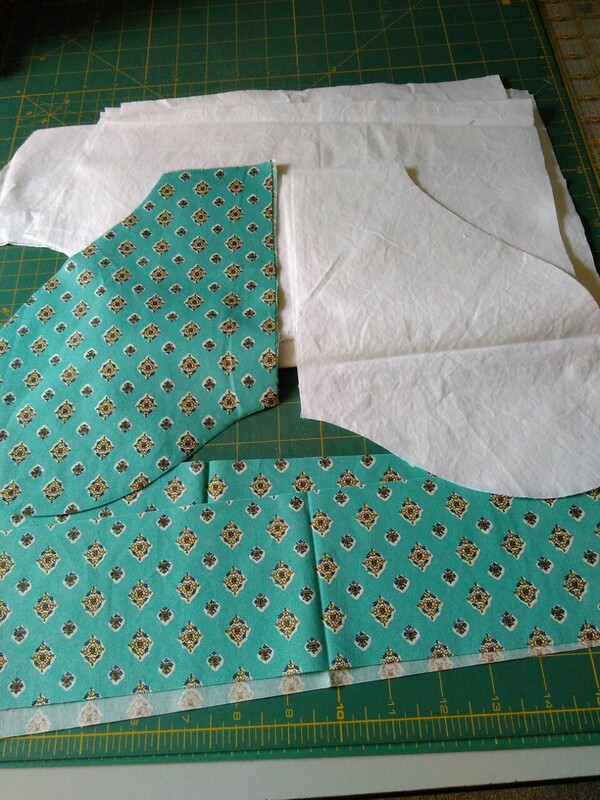 Leave your needle in the down position, pivot at the mark that you made earlier and continue stitching the bottom portion of the pocket and side seam at 5/8" seam allowance. End with a back stitch. Repeat this for the other side of your shorts. Press the seams and pocket bag to the front. Sew your waistband as directed in the pattern and ensure that the top portion of the pocket is caught within the waistband stitching. Turn your shorts right side out and press your pockets and side seams. You will notice a 1/4" overhang of the front side of the seam. This will give a nice flush and avoid any peekaboo of the pocket fabric if you are using a different fabric from the main. That's it and you now have some pretty neat in-seam pockets! If you have any questions please to do hesitate to leave me a comment. I will be conducting the Moji Pants class at Yee Button on 20th February 2016 (Saturday). For more info please click my Facebook Event Moji.